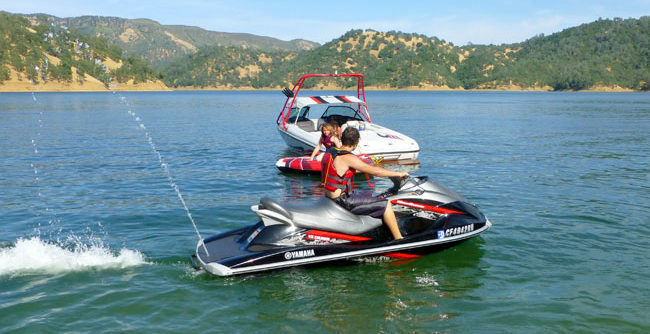 LOWEST PRICES FOR BOATS & JET SKIS ON LAKE BERRYESSA! $5 TO $400 OFF RENTAL RATES! 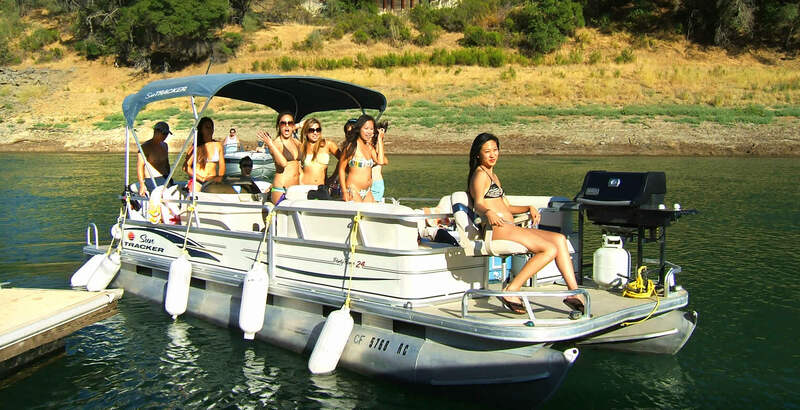 Best boat rental in California on Lake Berryessa! Make your summer reservations now for the 2019 summer season, and receive 20% off all 6 to 8 hour rentals! CALL TO MAKE YOUR RESERVATION TODAY WE RENT BOATS JET SKIS TO ANYONE STAYING AT ANY RESORT OR RECREATION AREA ON LAKEBERRYESSA. 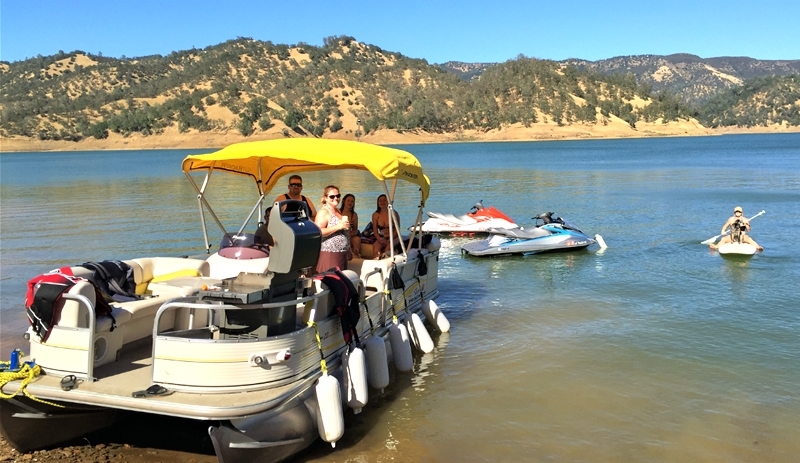 Lake Berryessa Boat & Jet Ski Rentals has the Largest Boat Rental fleet and the most experience in renting watercraft at Lake Berryessa. We also strive to have great customer service. 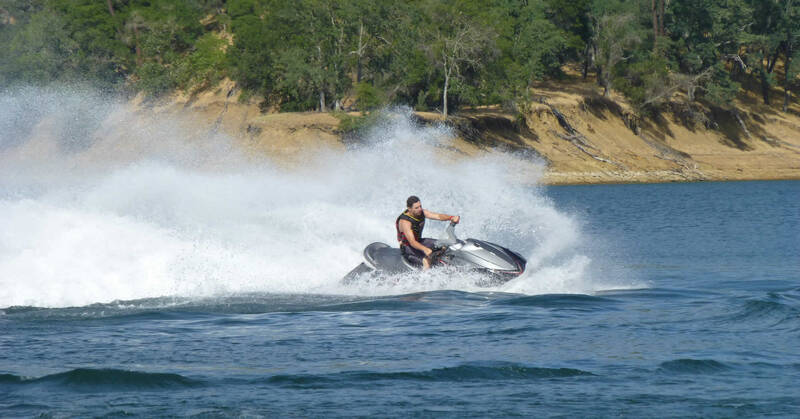 Lake Berryessa Boat & Jet Ski Rentals has everything you need for an awesome day of water sports on Lake Berryessa. 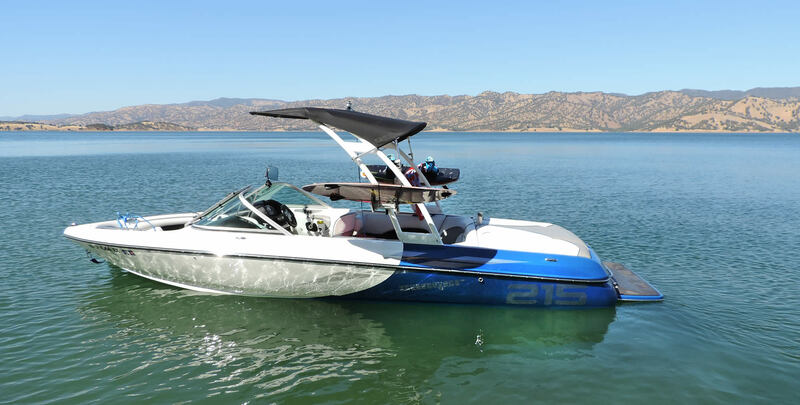 We are confident that you will enjoy your day whether its wakeboarding, tubing or water skiing behind one of our Ski Sanger V215 Wakeboard Boats, DXII Ski Boats, Malibu Wakesetter Wakeboard/Wakesurf Boats or Carving up turns on one of our Yamaha WaveRunner/Jet Skis/Sea Doos. Get your family and friends together and spend the day aboard one of our roomy Pontoon Boat/Patio Boats/Party Barges. How about some fishing? We offer our 16' foot Crestliner aluminum fishing boats!! For non-­motorized water sporting fun, we rent standup paddle boards (SUP) and kayaks. They are great to add to your Pontoon boat rental and fun for the whole family while anchored in a secluded cove. If you forget your wakeboard or skis, or if your tube springs a leak or your rope breaks - NO PROBLEM. We also rent and sell Wakeboards, Surf Boards, Water Skis, Towable Tubes, Tow Ropes, Life Jackets, and Sunglass Straps. Just to name a few. Lake Berryessa is one of the largest man-made and cleanest lakes in California. It is 26 miles long by 3 miles wide. 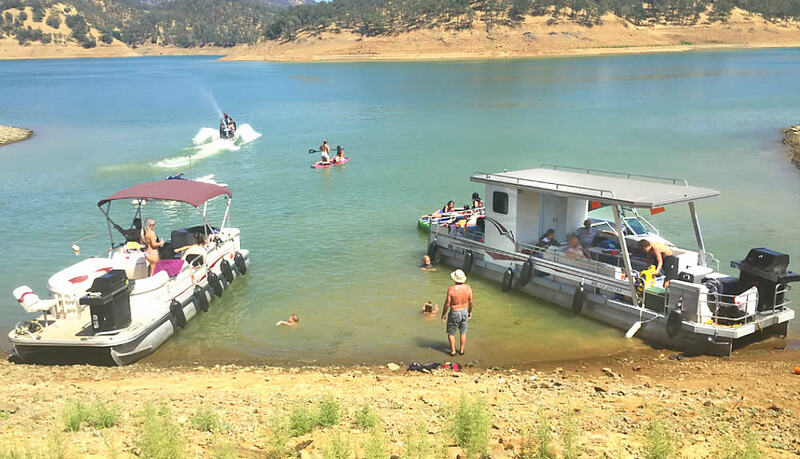 Lake Berryessa is one of the best lakes in California for water sports, like Wakeboarding and water skiing, with water surface temperatures reaching 80 degrees June through October. It is second in size to Lake Shasta, and larger than Lake Oroville, Lake Sonoma, Don Pedro, and certainly Folsom Lake. With 165 miles of shoreline, Lake Berryessa has more shoreline than Lake Tahoe. Lake Berryessa is just a 40-minute drive from the Napa Valley, and 1 hour and 45 minutes from the San Francisco Bay Area. Why not make the most of your Napa Valley vacation by renting one of our boats, jet skis, paddle boards or kayaks. Beautiful Lake Berryessa is a great place to make memories with your family and friends. We have one of the best Boat and Jet Ski Rentals in Northern California on the best Lake and closest to San Francisco, Bay Area, San Jose, Sacramento, Napa, St. Helena, Yountville, Calistoga, Santa Rosa, and Sonoma. All of our prices include Gas, Sales Tax and Life Jackets. You must be 18 years old to rent from us and have a valid driver license to drive. We recommend you go to the Reservation Information page after making your reservation. We are located at 4420 Berryessa-Knoxville Road, Napa California 94558. 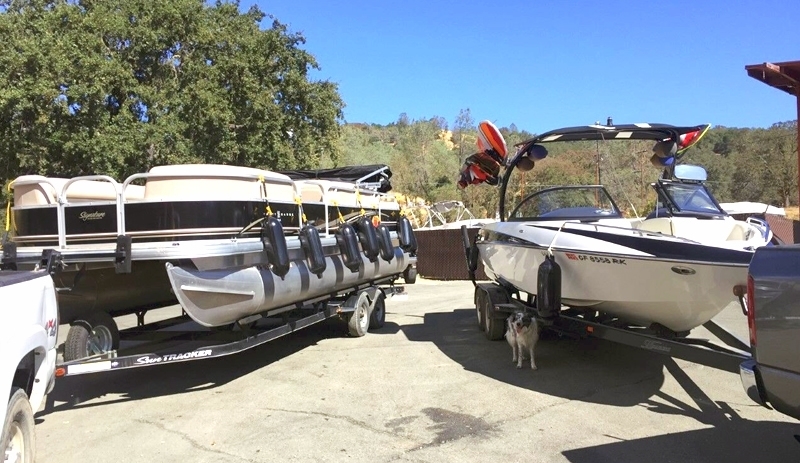 Lake Berryessa Boat & Jet Ski Rentals are joined with Berryessa Boat Repair & Storage on the West side of Lake Berryessa. We are Launching Boats, Jet Skis/ WaveRunner, Paddle Boards and Kayaks at Spanish Flat Recreation Area only. Spanish Flat Recreation Area is conveniently located 2 minutes from our Boat Rental. They offer Camping sites, RV sites, Day use sites with Charcoal barbecues, picnic tables in the shade, and Boat Launching. Spanish Flat Recreation Area's phone number is 707 966 0200. All of our prices include Gas, Sales Tax and Life Jackets. The closest Recreation Area to our location is Spanish Flat Recreation Area located only 2 minutes from our Boat Rental traveling by car. If you are camping at Steele Canyon Recreation Area it is 20 minutes from our location by car, after we launch you at Spanish Flat recreation area it’s a quick 2 minute boat ride by water water back to your camp site at steel canyon recreation area. If you are camping at Putah Canyon Recreation Area it is 15 minutes to our location by car. From Spanish Flat Recreation Area launch ramp, its just 15 minutes back to your campsite by water. Come and have fun here at Lake Berryessa. We are looking forward to hearing from you soon! Call us at 707-966-4204! !